Okay, it's still barely Spring, but I have been dreaming of warmer weather thanks to the mark. 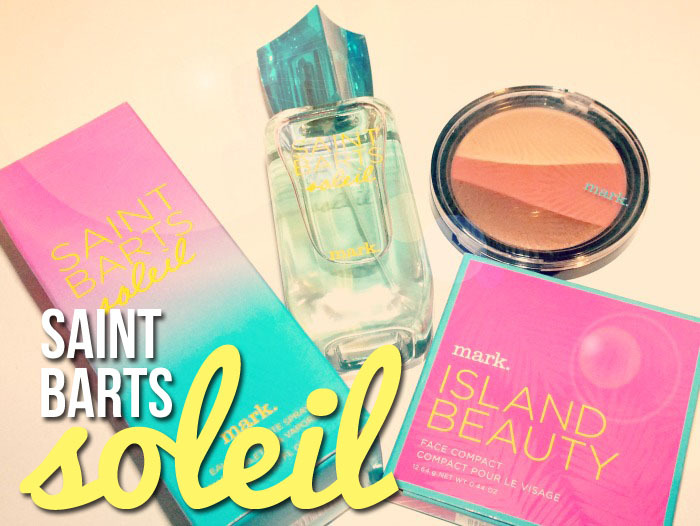 Saint Barts Soleil Instant Vacation Collection. I'm not even a huge Summer person- I don't like being too hot- but the eau de toilette is Summer perfection in a bottle. Read on! 'Experience beach glamour at it's height with notes of Caribbean waters, abundant flowers and the feeling of blissfully sunkissed skin. The exclusive allure of Saint Barts at it's most enticing...' - mark. As I mentioned above, this is a perfect Summer scent- I love it! Top notes of mandarin, island fruit, and Caribbean waters, middle notes of frangipani, orange blossom, and ylang ylang, and base notes of blond woods, sunkissed notes, and coconut water combine to create a warm, sweet, aquatic-floral. When first spritzed, the floral and aquatic notes take charge, but as it mellows you get a sweetness from the fruit and soft creaminess from the coconut. The scent starts off with a bang, but softens to be a very wearable scent for both day and night. The collection also includes Saint Barts Shimmering Body Lotion (150ml $14) which will be perfect for layering the scent and adding a little glow. I love the scent so much that I've already ordered one. 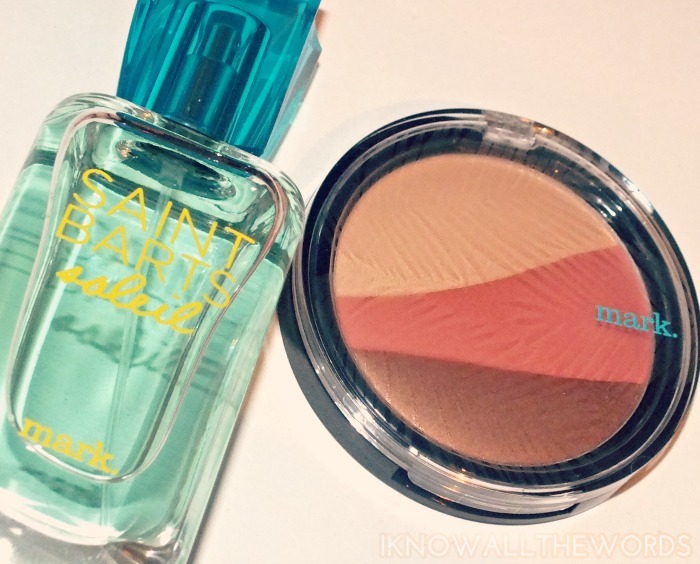 'Your passport to a gorgeous, Saint Barts inspired glow. This palette shouts, "I've been on vacay!" Gorgeous on all skin tones.' - mark. And, of course, what is Summer without a little bronzer? The mark. 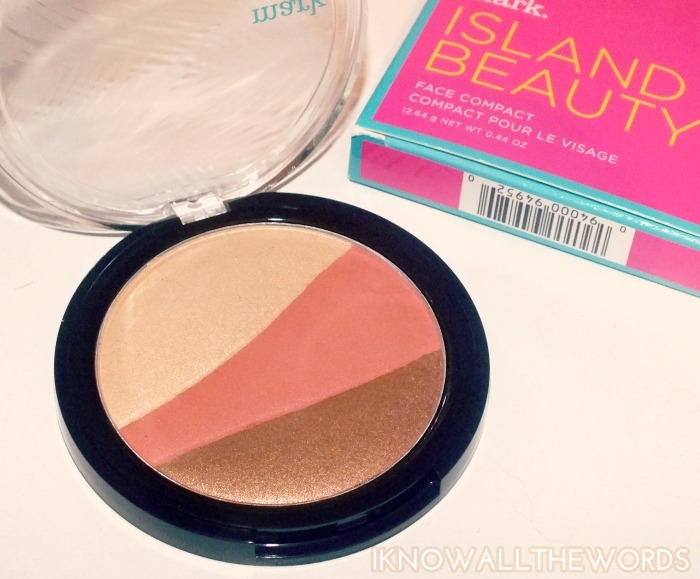 Island Beauty Face Compact combines a glowy champagne shade, a deep, matte, peachy-coral, and a warm bronze with golden shimmer. The shades can be used individually if you're careful with your brush- the individual sections aren't very big- or you can swirl all of the shades together for a peachy bronze shade that works as a bronzing blush. 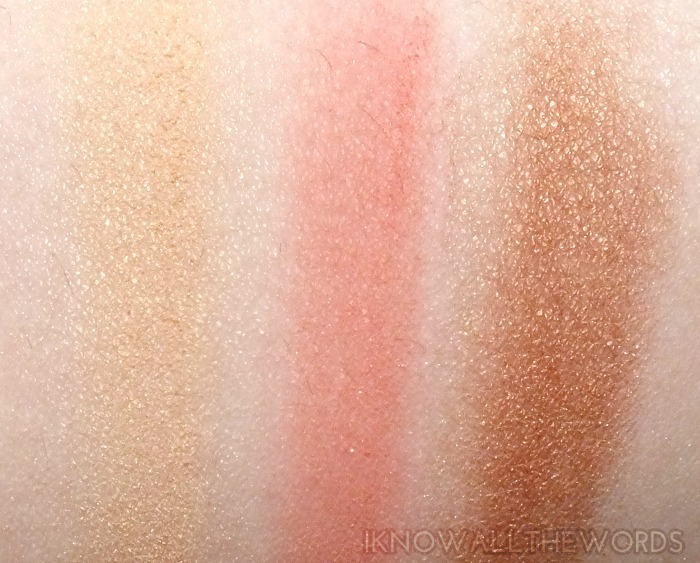 The shades champagne and coral shades are nicely pigmented but the bronze shade... it's like butter! 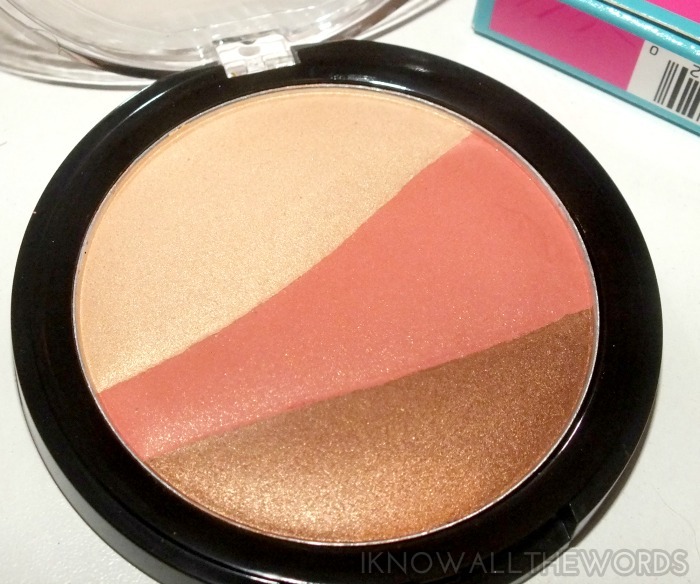 It's the smoothest, creamiest powder... you could even use it as eyeshadow. Can't beat a little double duty beauty. Overall, two great products to see you through the Summer. 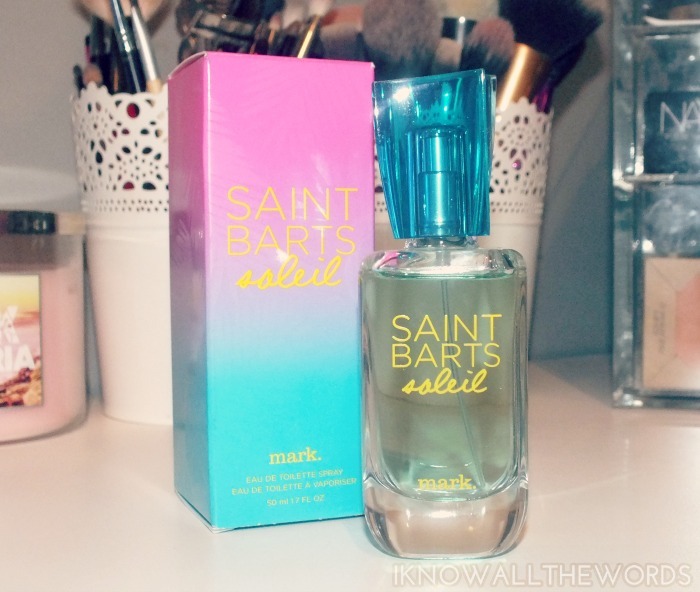 I am MAJOR fan of the Saint Barts Soleil scent! What type of scents do you reach for in the Summer?